The Leagues Club was officially incorporated on September 28, 1971 to ‘foster Rugby League and for its members to enjoy a convivial meeting place where a common bond may be enjoyed’. 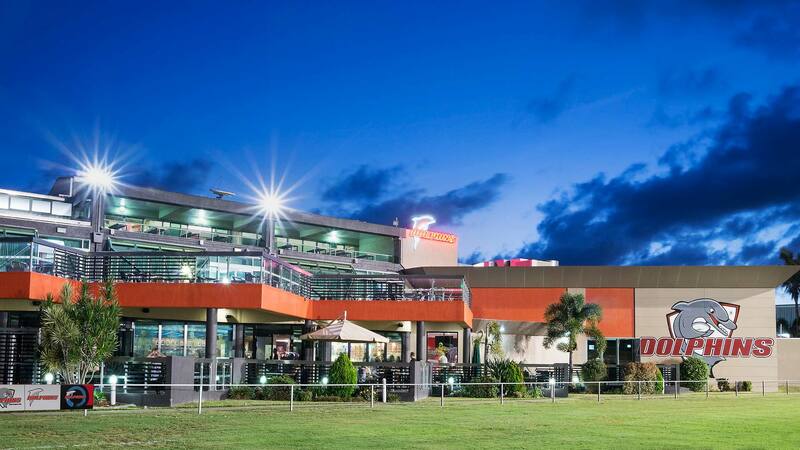 Today Redcliffe Leagues Club boasts almost 30,000 members and over 200 staff who all help the Club live up to its motto as ‘The Friendly Club’. The club continues to increase support for the local community, with the Dolphins Health Precinct opening to the public in January 2011. Found directly behind the club, DHP boasts an indoor aquatic centre, gym, associated health professionals, crèche and cafe. The latest diversification has been the opening of Dolphins Central Shopping Centre adjacent to the Club in December 2013. Providing a full-sized Coles and a variety of specialy stores for locals to access quickly and easily. The next Community initiative is an upgrade to Dolphin Oval to be foreknown as Dolphin Stadium. Offering great potential for the wider community, this initiative would help strengthen tourism as a whole on the Peninsula & surrounding area.